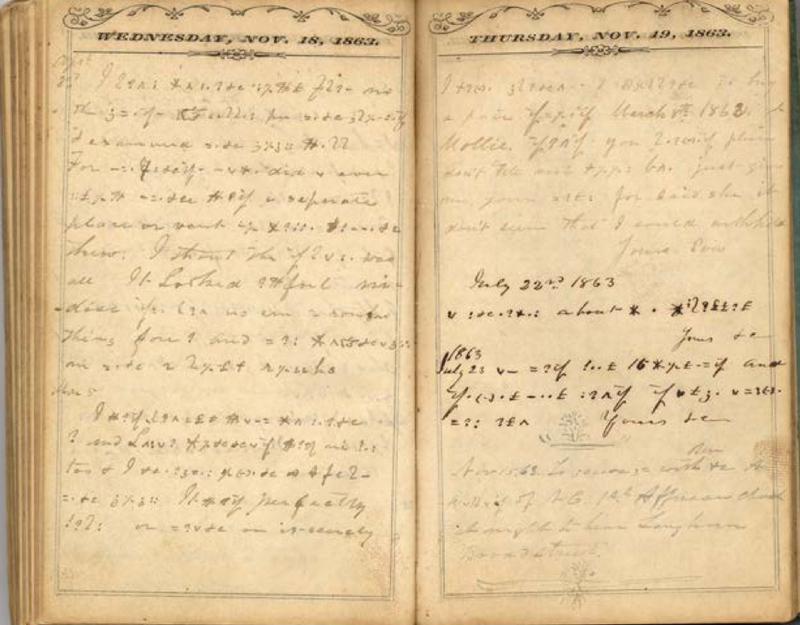 Via Huffington Post: A British Cryptographer has decoded a US Confederate soldier’s diary to discover that the code was intended to hide the soldier’s gossipy speculation about his superiors. The complete diary of Lt. James M. Malbone is viewable here, thanks to the New York State Military Museum. Kent D. Boklan’s account of his decoding process is available here, via Taylor & Francis (limited access). ← What’s the difference between a diary and a journal?